This article is sponsored by Kannabia Seed Company, an award-winning cannabis seed company headquartered in Spain whose grower-oriented approach has made cannabis cultivation simple and satisfying for growers of all skill levels for years. As cannabis legalization continues to spread around the world, more and more people are getting the opportunity to grow their own plants at home. For individuals living in jurisdictions where the practice is legal, cultivating new and classic sativas, indicas, and hybrid strains has never been easier. From complex indoor operations to simple additions to an existing garden plot, there are a plethora of ways that aspiring cannabis cultivators can get to know the plant from seed to smoke. Whether you’re wondering where to start, or looking to level up an existing cannabis garden, the team at Kannabia has you covered. Their grow experts suggested five superb sativa strains from the company’s diverse catalog of seeds, and provided some tips for getting the most out of every grow. Sativa plants can grow really tall, whether potted or sown directly into soil. That makes it important to leave more overhead space than you might think you need. For instance, Kannabia’s Cookies Haze can reach heights of more than three meters, or about ten feet tall. 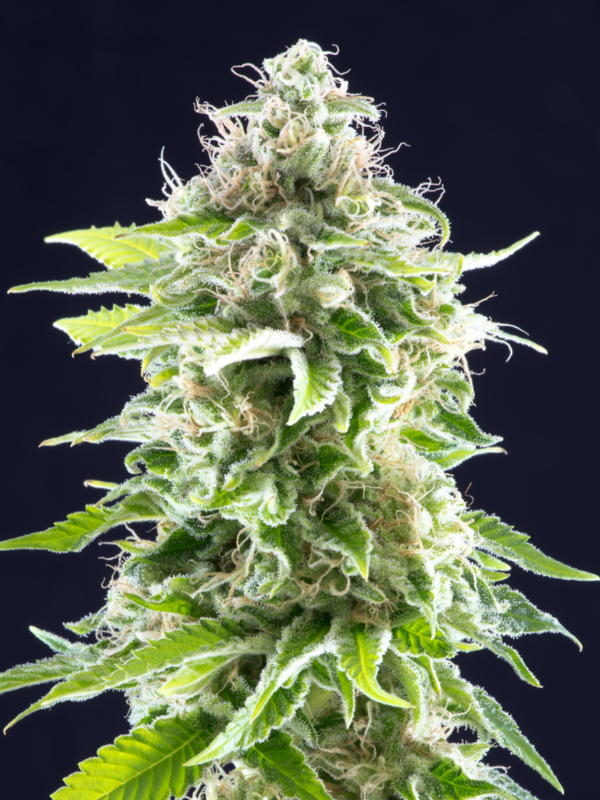 Wherever you plant it, this mix of Afghan and Super Silver Haze is easy to grow and bred to be pest-resistant, making it a great choice for first-timers. Its high THC levels, meanwhile, make for a very satisfying harvest. Too much humidity can do a number on many plants, including cannabis. A climate that’s too moist can inhibit growth and leave plants susceptible to mold, mildew, and pests like caterpillars. While some strains are more tolerant of humidity than others—like Kaboom, a heavy producer that’s bred to finish fast, resist pests, and thrive in a variety of conditions—it remains a factor to keep an eye on. No matter what strain they’re growing, indoor cannabis cultivators should be sure to provide their plants with plenty of ventilation, and monitor humidity levels to ensure they stay in a safe range of between 50 and 80 percent. Outside, you may have luck covering plants with plastic at night—just make sure to remove the cover during the day and prevent condensation from building up. If left to their own devices, plants can grow up spindly and weak. With deliberate pruning and shaping, though, gardeners can encourage denser growth and higher yields. Whatever you’re growing—fruit, herbs, roses, or cannabis—you need to prune early and often to get maximum growth. A traditional pruning regimen, also known as defoliation, begins as soon as the plant starts to get bushy, and involves both removing lower leaves that aren’t receiving light or are dying off and pinching new growth at the top. Continuing this process during the two or three weeks that follow will set up your grow for long-term abundance. Proper pruning will maximize yields for all strains, but some plants respond especially well to a little training—even sativas, which tend to be less leaf-dense than their indica relatives. Kannabia’s growers report that topping their Sativa Dream strain, for instance, can boost its production by almost a third. It’s also bred to be pest-resistant and fast-growing, making it a great cultivar for rookie growers who are still polishing their green thumbs. Different kinds of plants like different kinds of nutrients in their soil, and cannabis plants are known to have a bit of a sweet tooth. Adding a source of sugar, such as unsulphured molasses, can boost the microbes that help your plants grow, resulting in higher yields. This technique also has a bonus effect of making the flavor of fruity strains pop. Give it a shot with Kannabia’s super-citrusy Amnesi-K Lemon—a cross between Amnesia, Lemon Skunk, and Jack Herer—to dial up the lemon and grapefruit notes. Adding a little sweetener isn’t Kannabia’s only tip for growing this citrusy-strain, though. To bring out its full potential, their growers recommend monitoring the surrounding temperature closely and ensuring it always stays between 18 and 28 degrees Celsius, or about 64 and 82 degrees Fahrenheit. Whether they’re sativas or indicas, autoflowering cannabis strains are crossed with Cannabis ruderalis—a subspecies apart from indica and sativa—giving them the ability to flower on their own after a short vegetative period without any hand-holding. While autoflowering strains can be a good fit for some growers, the Kannabia team cautions that they can’t be treated like normal cannabis seedlings. Growers should avoid transplanting autoflower strains, for example, instead planting them directly in soil or a large pot. When feeding and fertilizing these strains, be sure to use products that are specialized with autoflowering in mind—otherwise you may end up with a cannabis plant with bonsai dimensions. If autoflowering seems like a fit for you, Kannabia’s Mikromachine Auto strain is a great place to start. This easy-to-grow strain mixes classic strains Northern Lights and AK-47 with ruderalis to provide a potent and creative high.